A rumor making the rounds today suggests Apple may be planning on introducing its first triple camera smartphone this year with the rumored 6.5-inch iPhone, following in the footsteps of Huawei. The rumor comes courtesy The Korea Herald, although it’s oddly buried in a piece mostly about Samsung, which is also expected to introduce a triple-camera smartphone with next year’s S10. To be clear, this isn’t the first time we’ve heard word of a triple camera iPhone, but the three previous reports have pointed to a 2019 release, according to MacRumors. One of these reports was from Ming Chi Kuo, an Apple analyst who has a solid track record. The fact that’s it’s mentioned offhandedly in the Korea Herald report makes me think the date may have been a mistake. And yet, I say it’s about time. Ever since LG first began to implement a secondary, wide-angle camera in its smartphones, I’ve been waiting for a triple camera smartphone. 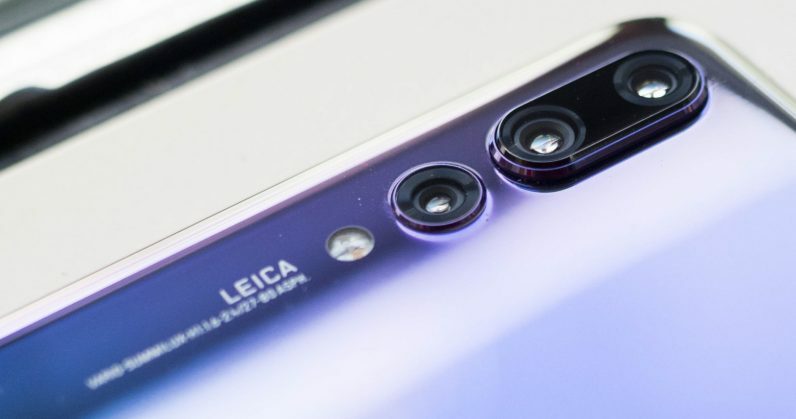 Then the Huawei P20 Pro arrived with amazing image quality – arguably the best on a mainstream smartphone – and convinced me this is the route everyone else needs to follow. No matter how good AI and processing get, there’s only so much you can do within the physical constraints of a small smartphone sensor. In theory, using multiple cameras and combining the information with some smart processing could help you somewhat replicate the image quality of a larger sensor. And yet Huawei’s implementation still isn’t even my ideal configuration. Before writing about tech, I was a professional photographer, and in those days I carried three lenses with me: a wide-angle lens, a standard or ‘normal’ lens, and a telephoto lens. It’s a pretty common trio for photographers, sometimes referred to as the ‘holy trinity’ of lenses. So far I’ve seen phones that have a normal lens and telephoto lens, or a wide-angle and telephoto lens, but never all three. I suspect in the future, our phones will look more like the Light L16 tried to do. Reviews aren’t great for that due to problematic software, but it’s a fantastic conept. Is this what Apple is aiming for? I have no clue. As far as I know, Apple could simply be using the third camera for depth sensing and increasing image quality on the other two, a la Huawei. Or maybe it plans to implement Face ID-like tracking on the rear. It’s too early to tell. Either way, here’s to more cameras on our smartphones. Maybe one day I won’t need my mirrorless camera anymore.